The houses are not floating, they are stilt houses, some are two floors high. This means that they can't move, and if the long shapes were lumber they would be very difficult to move. The long shapes themselves seem to be on stilts, 1 or 2 meters above sea level. Question: What are these long shapes? It seems unusual enough that it should warrant a visit. 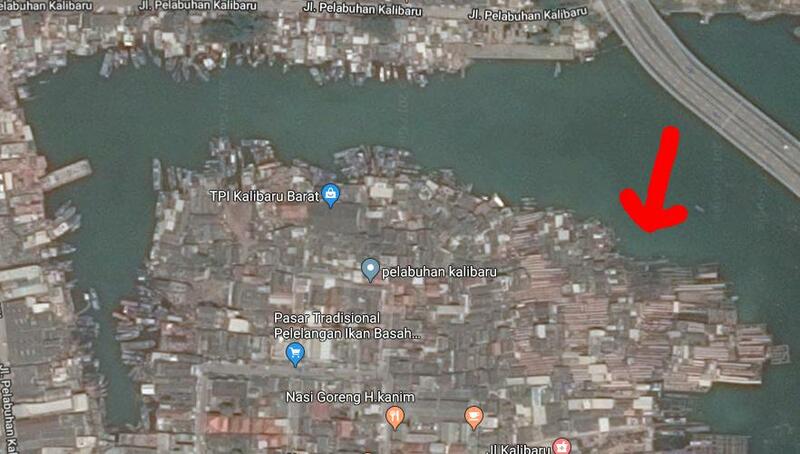 As for the place in the question, the long shapes are near the sea, seem to be kind of port of a harbour-like zone, but some are locked between houses so that they could hardly be piers. These are fish drying tables. 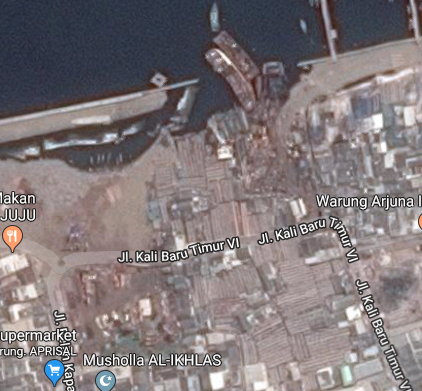 This explains the proximity to a harbor, and the lack of a necessity for immediate sea access. Looks worth a visit for fish enthusiasts. Not the answer you're looking for? Browse other questions tagged identify-this jakarta or ask your own question.